Set at the highest point in Solvang and overlooking the splendor of the Santa Ynez Valley, Ferguson Crest is a family-run boutique winery devoted to producing top-quality varietals. Founded by Pat Ferguson and his daughter Fergie in 2006, the 6 acre estate winery excels in capturing the essence of Santa Barbara County terroir and reveals the Ferguson family's uncommonly tender care of its much-treasured grapes. From the crisp, lush Viognier to the spicy and sumptuous Syrah, the winery's bounty also evinces the ingenuity of Ferguson Crest winemaker Joey Tensley (a Food and Wine magazine award-winner whose Syrah's have ranked in the Wine Spectator top 100). With its dedication to tending its vineyards through organic, sustainability-minded practices that help preserve the richness of the land, Ferguson Crest offers up a premier selection of varietals sure to delight those with a passion for exquisitely handcrafted wines. Growing up in Southern California, Pat Ferguson was fascinated by his father's steadfast caring of the oranges, lemons, limes, tangerines, and tangelos that flourished in his vast citrus grove. Upon building a family of his own, Ferguson transformed the backyard of his Hacienda Heights home into a wonderland of fruit and vegetable crops that he cultivated with the help of his daughters Stacy and Dana. Now, Ferguson has moved beyond bell peppers, blood oranges, and boysenberries and into the wine realm with his boutique winery, Ferguson Crest. 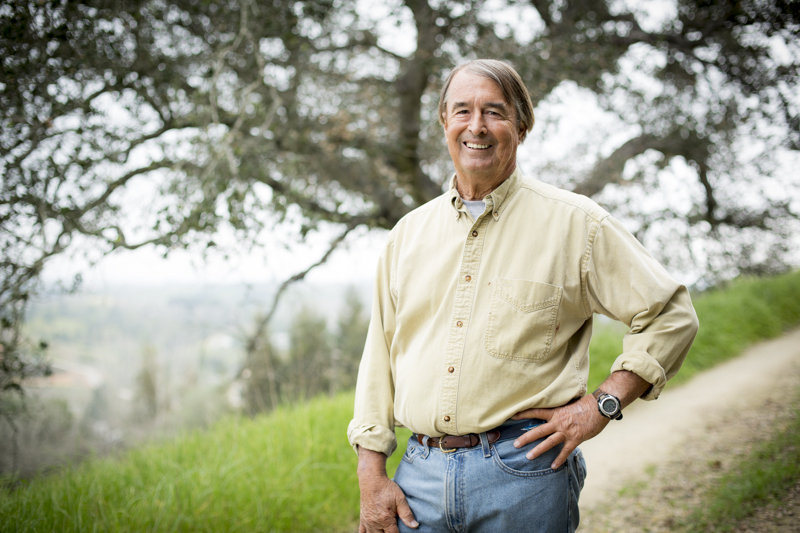 After retiring from more than three decades of work as a high school teacher and football coach, Ferguson escaped the smog and frenzy of Los Angeles for the serenity of the Santa Ynez Valley. Making his home in Solvang, Ferguson turned his green thumb to the growing of Syrah (one of Santa Barbara County's most prized grapes). At the urging of Stacy (aka Fergie, vocalist for the Grammy-Award-winning Black Eyed Peas), Ferguson added Viognier and Cabernet Sauvignon to his vineyard and the father-daughter duo teamed up to launch Ferguson Crest as a family-run venture. 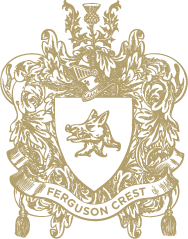 Dedicated to delivering handcrafted varietals grown with organic methods, Ferguson Crest proves to be the product of a lifelong love of growing and harvesting. With his daughters joining in the picking and stomping of the grapes—as well as taking the helm on tasks like designing the winery's family-crest-emblazoned label—Ferguson immerses himself in every element of the winemaking process to truly make Ferguson Crest a hands-on and lovingly tended family affair. In 1998 Joey Tensley's single goal was to make wines that let the unique and little-known vineyards of Santa Barbara County speak for themselves. Thirteen years later Tensley wines include Syrahs in the Wine Spectator's Top 100, a history of high scores with Robert Parker, and a Food and Wine Magazine award for producing the "Top Syrah in America Over $20." Joey's first experience with wine took place when he was just twelve-years-old and his soccer team toured a winery while taking part in a tournament in Bordeaux. Joey vividly recalls the chill of the old caves and the aromas of wines fermenting in barrel. From that moment on he knew he wanted to be a winemaker. "Which pretty much made me the only kid in Bakersfield, California, with that particular dream," Joey says. "We all raced go-carts and most of my friends wanted to be race car drivers." Ten years later, in 1993, Joey got his start in the wine business working as a "cellar rat" for Fess Parker Winery in Santa Barbara County. After only three years he became the assistant winemaker at Babcock Vineyards. There Joey came to appreciate the importance of the vineyard and the grower. He also came to appreciate the uniqueness of Santa Barbara County as a growing region. "We're one of the only places in the world with a mountain range that runs east-west. That gives us a lot of different microclimates." In 1998 Joey moved on to become the assistant winemaker at Beckmen Vineyards. There he was offered space to launch his own label. He decided to produce only vineyard designated Syrahs from Santa Barbara County. He also decided that those Syrahs would all be priced the same and made in the same fashion. He stays true to those methods today. By 2001 Tensley Wines' original 100 cases had grown to 750 cases, and Joey had moved into his own winery in Buellton, California. Tensley appeared on prestigious wine lists from coast to coast including Manhattan's Gotham Bar and Grill, Chicago's Bin 36, and Picasso in Las Vegas. The wine press also began taking note of Tensley. Matt Kramer of The Wine Spectator named two of Tensley's 2001 Syrahs to his list of Top Ten Wines in the World and Robert Parker scored all the 01's in the high 90's calling them "…serious, hand-crafted efforts." In 2008 Food and Wine magazine named the 2006 Colson Canyon Syrah "Top Syrah in America Over $20." In 2010 Robert Parker gave the 2008 Anniversary Series Colson Canyon Syrah 99 points, and the Wine Spectator ranked the 2008 Colson Canyon Syrah Number 17 on its list of the Top 100 wines in the world. (The 2007 Colson Canyon Syrah was named number 22 in 2009). While Tensley and its reputation continue to grow, Joey remains true to his original philosophy. Simply put, "Get out of the way and let the vineyard speak for itself."